The Value Chain Academy is initiated by Involvation and Inchainge. Together with two other partners, CrossKnowledge and Krauthammer, the concept has been developed. Involvation and Inchainge offer both online and classroom training to develop the business skills of people who work in the value chain. Next to deep knowledge about the value chain, employees need personal skills to perform at their job. CrossKnowledge and Krauthammer are renowned players in the world of personal development and they offer top quality services to The Value Chain Academy. All partners involved have their own strengths and characteristics. We strongly belief in focus and our own competencies and added value. Being aware of our own strengths but also our weaknesses we decided to work together and blend our strengths into one new concept: The Value Chain Academy. For global sales and delivery of The Value Chain Academy we work with partners in different continents across the globe. Consistency and standardisation of the concept, both in quality and content, is the driver for this cooperation. Involvation is a consultancy and implementation firm that is focused on improving the supply chain and its management. Involvation helps all kind of organisations, large and small, to take the decisive step: the step from the challenge to a sustainable result. Involvation does this by drawing inspiration from the possibilities we see, by looking just that little bit further. By not allowing ourselves to become distracted by details and symptoms. By making things as simple as possible, but not simpler. CrossKnowledge helps organisations to succeed in their transformation through the transformation of each individual, by delivering to all of them world class and most effective knowledge and education thanks to distance learning solutions. CrossKnowledge provides top quality online content with more than 19.500 learning objects in 16 languages. 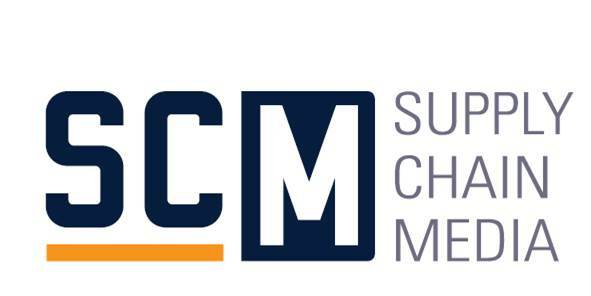 Supply Chain Media has broad experience in supply chain management publications and takes the supply chain management profession to the next level with the ability to connect people, combined with a strong commitment to spread unique, high-quality content in various languages. This enables the partner network to use best practices – such as innovative mind maps, subway maps and self-assessment tools. There are also custom-made opportunities to develop co-creations which draw on a partner’s in-depth knowledge and expertise. Supply Chain Media is best known for its publications Supply Chain Magazine (Dutch), Supply Chain Movement (English) and its Turkish special. Inchainge develops and markets the world’s leading simulations and learning programs in Supply Chain Management and Supply Chain Finance. Inchainge is a company based in the Netherlands and has an extensive network of delivery partners on every continent. Inchainge’s simulations focus on what we truly believe to be vital for every organization: Alignment. Krauthammer focusses on guiding leaders, managers and professionals to increase their own vitality. And, via them, the vitality of their organisations. Krauthammer’s core contribution lies in the mastery of behaviour and its conditions. In other words, human interaction and performance. With embedded offices all over Europe, in the Americas and Asia, and a bonded network of partners worldwide, Krauthammer delivers in native languages in more than 50 countries.